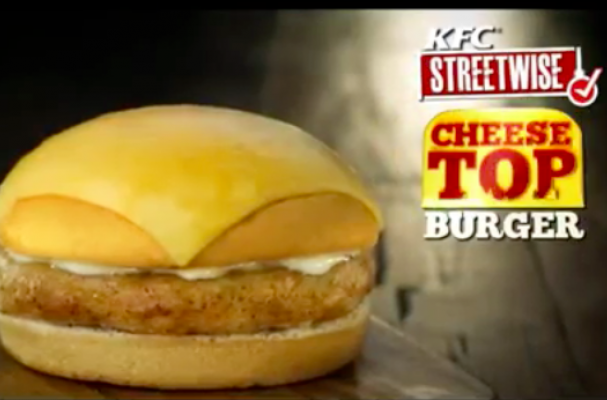 The KFC Philippines Cheese Top Burger might perhaps be the most unusual specialty sandwich we've seen this year. The chicken sandwich features a slice of processed cheese melted onto the top bun; inside, it's dressed with garlic Parmesan dressing. The only thing that differentiates the Cheese Top Burger from any other chicken sandwich with cheese is that said cheese is on the exterior rather than the interior. Check out the commercial for this silly sandwich below.